Will US Drug Pricing Politics Change Intimidation Practices Globally? The global health world, particularly as concerns skyrocketing drug prices and patent abuse, is in a unique space in time. Recently, the Office of the United States Trade Representative (USTR) has been carrying on as per usual. It has threatened the Malaysian and Colombian governments at numerous junctures to prevent them from issuing compulsory licences – a completely legal mechanism which the US uses regularly – to access generic hepatitis C drugs. The Trump Administration has sent delegations to global health agencies in Geneva to intimidate them into reducing, or hiding, work on TRIPS flexibilities and fairer drug pricing. Meanwhile, at home in the United States, there is a clear shift in paradigm on these issues. A number of legislative instruments have been introduced in the Senate and the House to address exorbitant drug prices. This includes the Bernie Sanders (I-Vermont) Prescription Drug Price Relief bill to annually review branded drugs for excessive pricing and enable the Department of Health and Human Services (HHS) to void existing exclusivities, and the Medicare Negotiation and Competitive Licensing Act of 2019, which would enable the Health and Human Services Secretary to authorise generic competition for drugs, and was sponsored by Rep Lloyd Doggett (D-Texas), cosponsored by 117 Members of Congress and introduced in the House on 7 February 2019. A number of 2020 Democratic Presidential Candidates including Sanders, Warren, Klobuchar, and Harris have made statements on the exorbitant prices set by the pharmaceutical industry. Trump HHS Secretary Alex Azar acknowledged drug pricing issues and in May 2018 released a blueprint to address high prices, but was criticised as ‘foregoing the most effective and obvious reforms that are needed to make a real difference’. Regardless of this, it is clear that drug pricing is high on the US political agenda. For decades, translating domestic US intellectual property into global norms has been high on the political agenda. Access to US markets was made contingent upon countries adopting US standards on intellectual property. Countries around the world are sorted into the USTR’s Special 301 ‘naughty list’ for countries that contravene its own standards on intellectual property, and this includes if they don’t provide the monopolies that the United States does for its own pharmaceuticals. US intellectual property standards have proliferated through numerous bilateral trade agreements around the globe. The proliferation of US standards worldwide is not restricted to intellectual property – the Obama presidency, for example, saw US diplomatic missions increase efforts to tackle regressive LGBT policies in the developing world. Drawing from these examples – could we see a shift in paradigm on traditional US hegemonic and bullying behaviour on drug pricing with a Democratic President post-2020? Shall we see Ambassador Deborah Birx say that ending AIDS cannot be done without tackling excessive prices with intellectual property measures? Shall we see the Global Fund to End AIDS, Tuberculosis, and Malaria able to free itself from USG shackles and invest in grants to tackle drug pricing? Will we in the near future be able to deal with multiple layers of patents applicable to long-acting technologies for HIV/TB/HCV/cancer without our Ambassadors being summoned to the Capitol, or without surprise ambushes in the hallways of the World Economic Forum? While it is too early at this stage to make conclusive predictions on US drug pricing diplomacy post-2020, there are hopeful indications of a diplomatic shift, contingent upon who wins the 2020 elections. Countries and entities facing pressures from US agencies to accede to commitments that could further put medicines out of reach, or to cut back on legal mechanisms and sovereign rights to protect public health, would be wise to take stock and potentially delay accession to prevent unreasonable and long-lasting tradeoffs. They would also be wise to improve their bargaining position by building coalitions with developed nations – for example via support of the Italian resolution on drug pricing transparency at the World Health Assembly – or via non-health manoeuvres such as reducing dependency on US trade or military expertise, so as to avoid needing to make intellectual property or public health concessions. 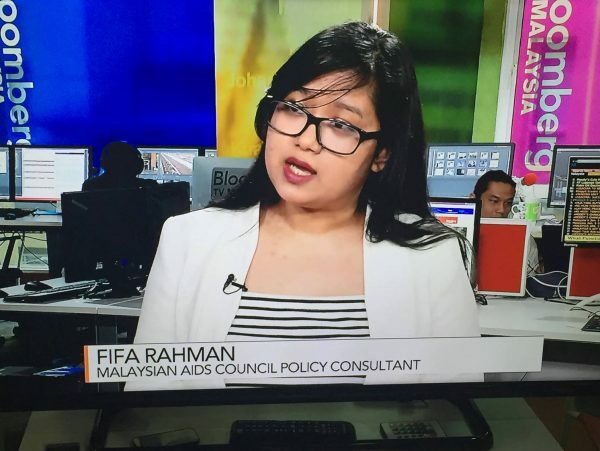 *Fifa Rahman is the Board Member for NGOs at Unitaid, a global health agency working on access to innovative health technologies. She is affiliated with Health Poverty Action in the UK, and is working on a PhD at the University of Leeds on the biologics exclusivity negotiations in the Trans-Pacific Partnership. "Will US Drug Pricing Politics Change Intimidation Practices Globally?" by Intellectual Property Watch is licensed under a Creative Commons Attribution-NonCommercial-ShareAlike 4.0 International License.